Description: Digitization provided by the USF Libraries Digitization Center. Rare Maps. 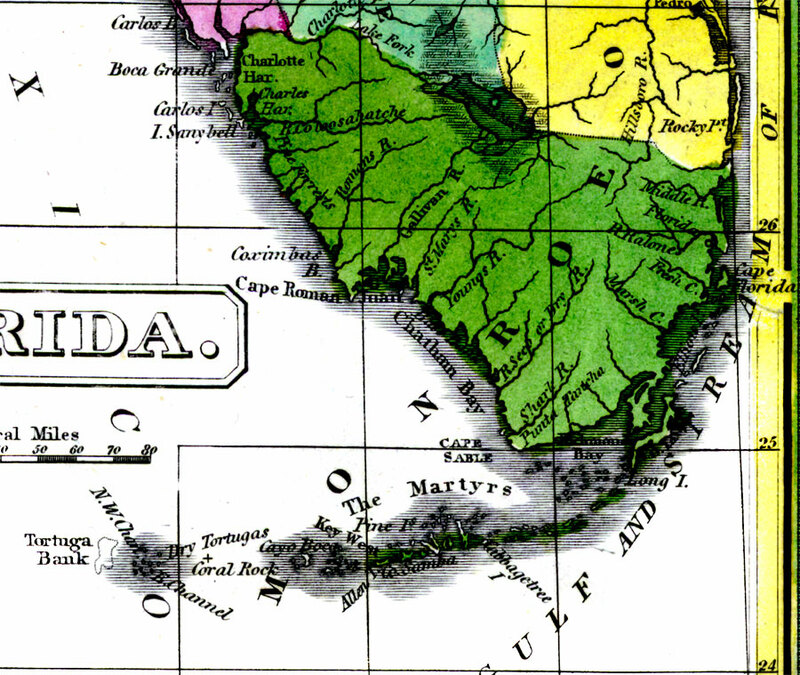 This is a detail map of Monroe county circa 1834 when it encompassed the entire southern portion of Florida and the Florida Keys. It shows main towns and cities including Key West, Florida and Sanibel (Sanybell) Island. It also shows inland waters including the Caloosahatchee (Coloosahatche) River.